With the Q300 Pro series Toshiba has SSDs in their portfolio which offer convincing performance, maxing out the SATA interface. 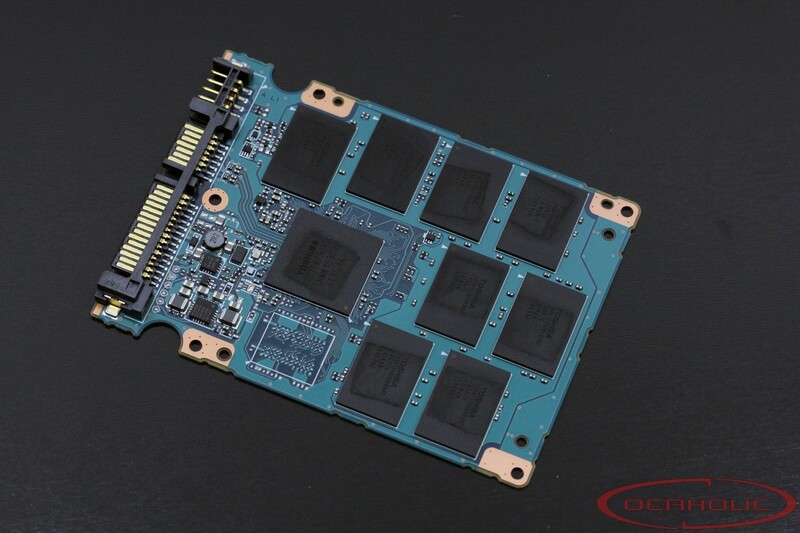 Apart from that there is MLC NAND flash memory and therefore endurance is on a very competitive level as well. Overall the Q300 Pro could be an interesting drive and now we really want to know what this SSD is capable of. 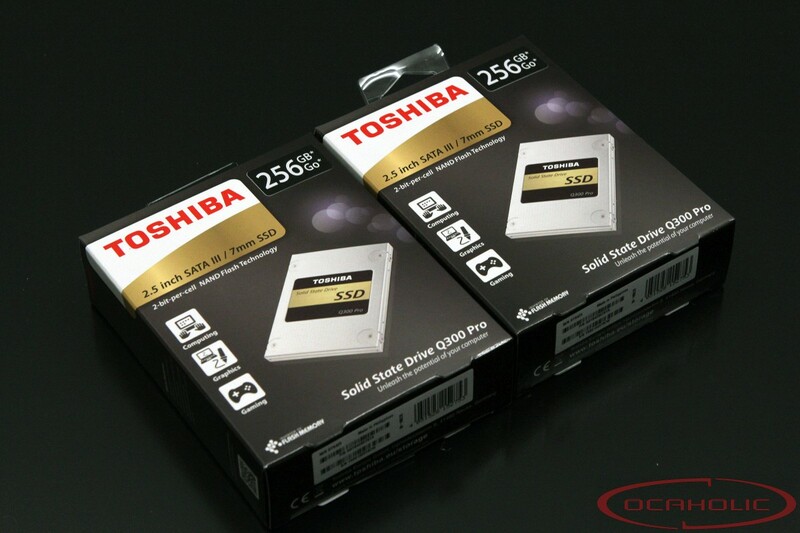 The Q300 Pro is a Toshiba SSD which has been built according to a proven concept. The drive is based on 19nm MLC NAND Flash and a TC358790 controller while – to our surprise – there is no DRAM chip. The case has been made from thin sheet aluminum and the entire drive measures 7 millimeter in height. Toshiba equips every single chip on the SSD with thermal pads, which allows for effective heat dissipation, especially in combination with the aluminum casing. Apart from that the PCB with all the chips has been tightly screwed to the casing, ensuring good heat conductivity. A look at the portfolio of Toshiba Q300 Pro drives shows that there is a 128 Gigabyte, a 256 Gigabyte as well as a 512 Gigabyte drive. These days it would be nice if there also was a 1 Terabyte model, since an increasing number of users is going to buy high-capacity drives. So far, if you think about building a high-performance system and you want to use Toshiba Q300 Pro drives, your option would be to buy two 512 Gigabyte drives and create a RAID0 configuration. That way you can realize a 1 Terabyte boot drive, which on top offers twice the performance at the cost of 50 percent of the reliability. Checking the box for additional goodies, we find a spacer in the delivery, which makes the Q300 Pro compatible with 2.5 inch/9.5 millimeter expansions slots. Apart from that there is a free copy of NTI’s Echo software included, which offers a simple way to upgrade from your old drive to your new Q300 Pro. Last but not least, Toshiba backs this drive up with a five year warranty plan, which is basically state-of-the-art in the case of higher-price MLC based SSDs of today.